When was the last time you used paper money for anything? That thought crossed my mind as I was giving my daughter her weekly pocket money, in notes and coins of course. As someone who’s worked for the last decade on mobile financial systems, the irony didn’t escape me. Why is it that I give my kids pocket money to instil the habits of budgeting and saving – that is, getting ready for the real world – but still provide them with physical money they store in the piggy bank their grandparents bought them? Wouldn’t it make more sense to teach my children how to manage digital money, which I firmly believe is the future of all money? I’d rather not open them a bank account or introduce them to the mobile wallets I use – I am not that modern a father. I want them to learn and have fun doing it, but I’d still like to view and control their activity. And I would like their relatives to be able to play a part, just as easily as they would have dropped a coin in their piggy bank. It turns out that I am not the only one looking for an online digital piggy bank or, as we at Alepo call it, an e-piggy bank. While savings accounts and even cryptocurrencies for kids have popped up recently, this use case, I believe, is still at an early stage of maturation. The e-piggy bank may very well turn into one of the more compelling ways of onboarding young families to mobile money systems. It has inherent value to consumers in both developed and developing economies. It complements the increasingly digital lifestyle that is evidenced by the growth in smartphone usage, not only among adults, for whom it is becoming virtually ubiquitous but also among children. An e-piggy bank is an add-on service that mobile wallet platforms can offer to customers who have children. It lets kids receive money from their parents, relatives, and friends, request money and create different wallets to save towards their chosen goals – all under parental supervision. Parental supervision is essential to protect children from fraud and inappropriate spending, but also from a less obvious angle: regulatory. In many countries, children’s accounts must be linked to a parent’s, and ultimately be owned by the parent, potentially with outward spending restricted to comply with KYC and AML regulations. Given the complexity and feature richness required for such a solution, there are two questions. Why should mobile money operators deploy such a solution, and how? The why is simple: the mobile money landscape today is not the same as the one in which the likes of mPesa grew. It is a competitive landscape where customers in most countries have multiple options. 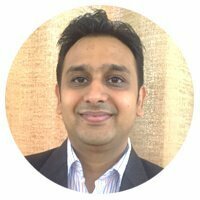 Finding compelling use cases and unique differentiators are key to drive mobile money adoption and improve the ever-critical digital circulation ratio. Read my full post: Digital circulation ratio is the key to mobile money profitability. The how is not as simple. An e-piggy bank needs to be easy to use, but that doesn’t necessarily make it easy to implement. It may be difficult to implement on top of an existing mobile money system unless that system already has the inherent flexibility to deal with complicated nested business relationships and the ability to customize policies at each of those levels. Further, it may be tough to build and tailor a platform that’s simple enough for a child (or a grandparent) to use. But a seamless user experience is crucial for an e-piggy bank to work. I happen to work for a company that makes a mobile money solution, so I was able to put my thoughts into action. We want to help mobile money providers engage families and children safely and effectively. And as ulterior motives go, I’m hoping this also means my daughter will be able to get her own e-piggy bank soon. For more information about the e-piggy bank feature as part of Alepo’s mobile money solution, reach us at mobile.money@alepo.com.